“Twice as many people hear about a bad experience as a good one”. This inspired General Motors to create the Buick and Chevrolet Customer Assistance Centers where 800 numbers were first initiated to centralize the customer complaint handling process. Just as sales and market share continued to rise, so did customer expectations and dealers were challenged to continue advancing a quality customer experience. Fast forward 20 years when additional customer satisfaction studies were conducted and showed that despite efforts to provide great service, customers are no more satisfied than they were in the past. Those studies also revealed what customers wanted more of, and the feedback was shockingly simple. Customers want explanations and apologies, they want to be communicated with and when something goes wrong, they want you to own it. It seems so logical AND explanations and apologies cost a company nothing! It boils down to effective communication between companies and customers throughout their journey with your dealership, which can be achieved with these 3 strategies for making small investments to get big returns. If you want loyalty from customers, make it easy. The more convenient a customer's experience, the more they want to do business with you. 94% of customers reporting LOW EFFORT said they would repurchase, while 88% said they would INCREASE their spending. 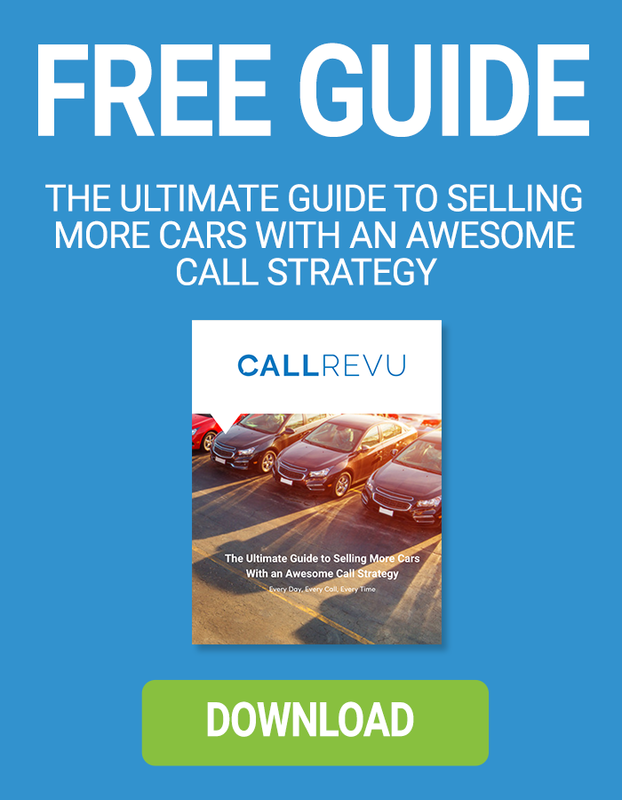 Implement this tip in your dealership today: Call your dealership and see for yourself if it’s a hassle to connect with someone. Prevent dropped calls and hold-time abandons by ﬁxing deﬁcient stafﬁng models and poor call routing. Today’s wired customer calls because they cannot ﬁnd the information they need online. Are you making it as easy as possible for them to reach the correct department or person, or are you setting them up for transfers, dead ends and frustration? It turns out that customers really don’t expect as much as we think they do. At the very basic level, customers expect you to deliver on what you promised without any unpleasant surprises. The best way to prevent an unpleasant surprise is to anticipate the possible source of one. A great example of anticipation and proactive customer service highlights something else everyone hates, bad news. Energy company, Southern California Edison (SCE) saw an increase in customer satisfaction after they started emailing customers whose energy bills were going to be higher that month. They use the first ten days of electricity usage to predict higher bills and inform customers of their projected bill along with suggestions for conserving energy. As a result, their emails achieved an impressive 50% open rate, customers reduced their energy consumption, and satisfaction scores increased -- all because SCE is giving customers bad news sooner. Implement this tip in your dealership today: Automotive dealers can achieve this by anticipating questions on unfamiliar features and helping customers make the most of their vehicles. Vehicles are becoming more technologically advanced and most of us can appreciate shiny new toys and gadgets, but they also add complexity for the consumer. It’s important that dealers ensure customers know how to operate their vehicle and make the most out of its functions. Give them tools like videos, materials on social media, and access to prepared employees that understand how to get the best use out of their cars. This is especially important over the phone, where employees have to act on the immediacy of a customer’s question. The best communication channels are the ones that facilitate the response to the customer’s request immediately. For example, a phone tree with an excessive number of options is a huge communication barrier for customers. 20% more callers will complete their calls if you limit options on your phone tree to 3 or 4 and with their selection connected directly to the department. Remember though, the most easily accessed 800 number is useless if the person on the other end of the phone can’t provide the information the caller seeks, so put the right people in the right seats and prepare them to serve your callers. Implement this tip in your dealership today: It’s easy to fix your phone tree and other processes, it’s more difficult to fix people. Start by hiring the right ones using effective interviewing and selection techniques. Then onboard them for success. Next, develop and coach them for success. Start by having your employees listen to their own phone calls, identify the best ones, and make a meeting out of your team listening to great phone calls. (This assessment can help Sales Checklist_CR_FORM!) Promote those behaviors and communication and performance will begin to improve in your store immediately! Bottom Line: Customer feedback hasn’t changed much over decades and the needle hasn’t moved on consumer satisfaction studies. 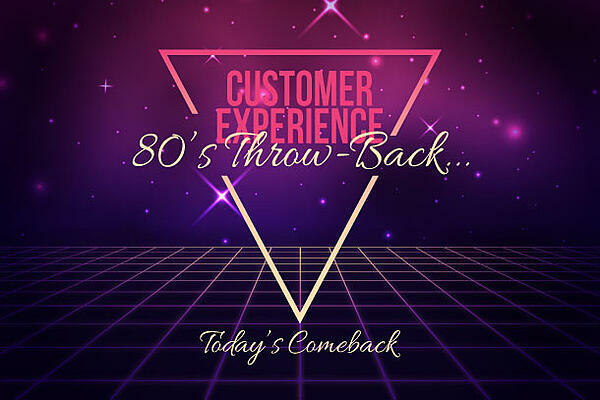 So what does a throwback from the 80s teach business leaders today? Today, customers expect to have their needs not just met, but anticipated. As Henry Ford said, “If I would have asked people what they wanted, they would have said a faster horse.” Anticipatory customer service is exceeding expectations your customers don’t know they have. And great customer experiences go beyond one person, or one department or one process. They are a result of well-designed processes, technology, great people and most importantly leadership and a culture that supports great experiences! Where should you start to begin improving? Sign up for free online phone skills training courses here.